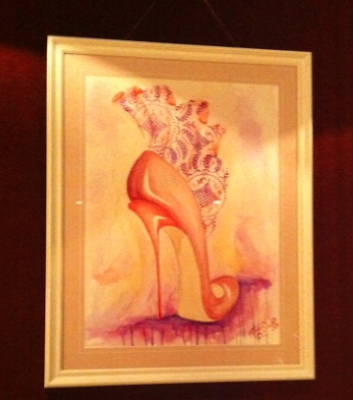 I got to check out Nina Divito's artwork exhibition held at Westbury Hotel . 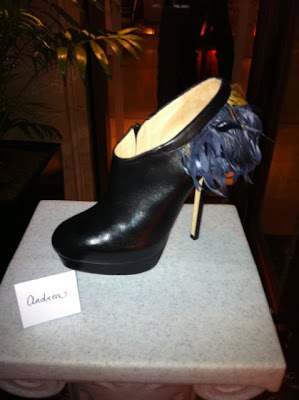 Some of the shoes from fall/winter collection were on display - all left me drooling. 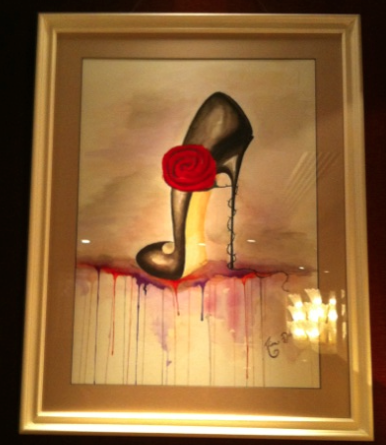 As it happens, Nina is opening her first boutique in Westbury Mall tomorrow, where you'll be able to pick out her artwork, as well as her stunning shoes. I'm in love with the feather booties in both tan and black! 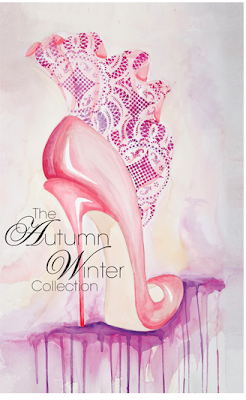 I was also told you can still get shoes from her past collections. 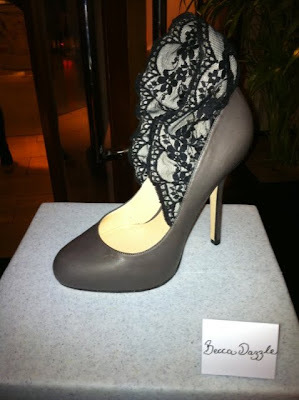 My all time favorite would have to be the open toe suede booties I blogged about earlier this year. Nina's small prints start at 20o euro. Larger oil paintings retail around 2000 euro. 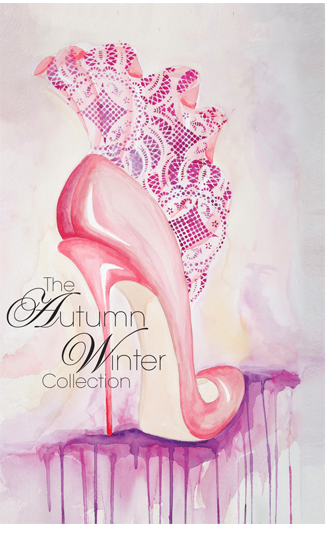 Check out her full art gallery and Fall/Winter Collection here.